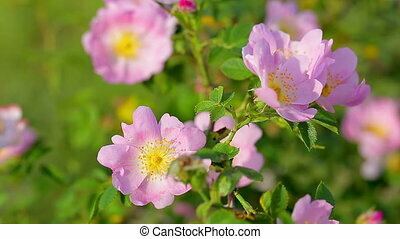 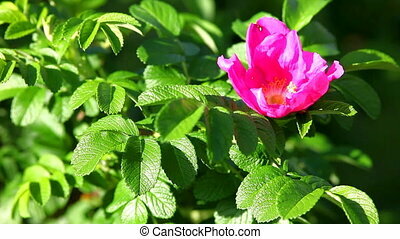 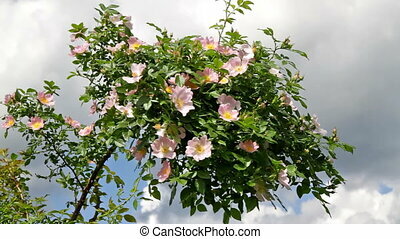 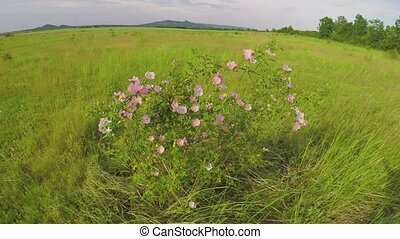 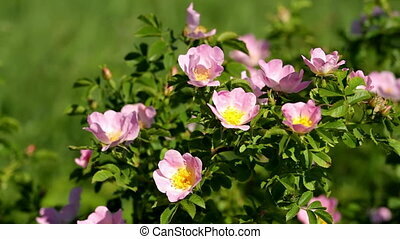 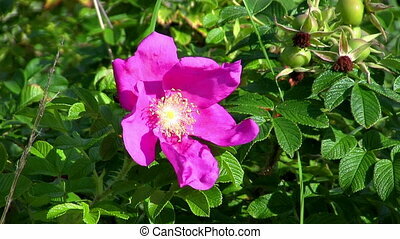 Dog-rose bush. 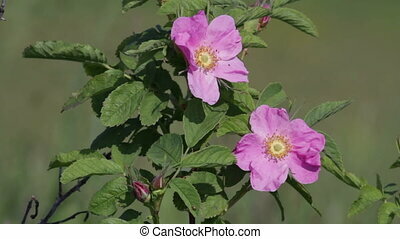 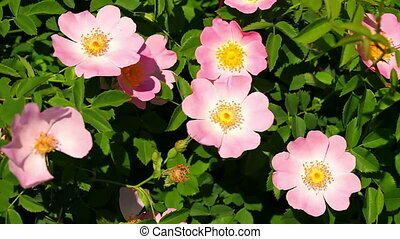 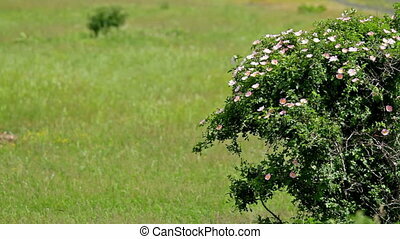 Pink dog-rose bush mixed with other species of wild flowers. 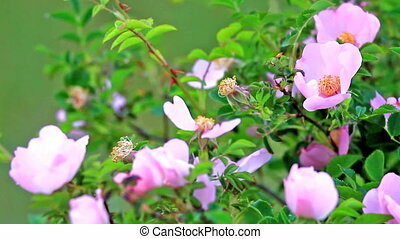 Pink dog-rose bush mixed with other species of wild flowers. 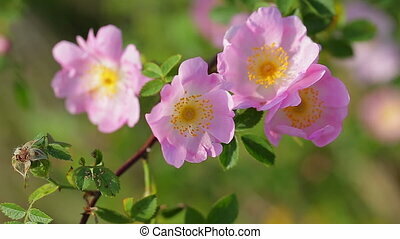 dog rose flowers in the wild close-up. 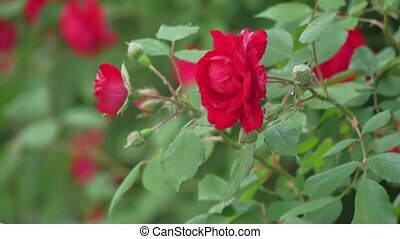 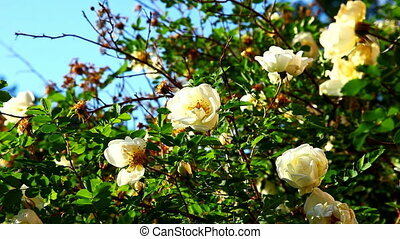 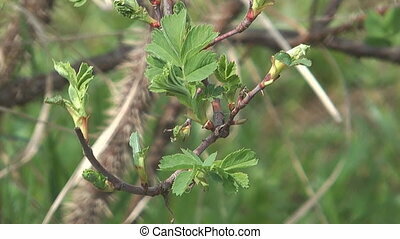 Close up shot of spring dog rose branch.